Flyers are an effective tool for companies and organizations to spread the word easily. Whether its for a brand, promotion, or event, these advertising materials are just what you need. 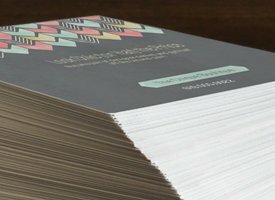 Flyers are easy to distribute and reach a wide range of audience with little effort or time. Because are flyers are so affordable they are the perfect option for businesses on a tight budget, or just looking to save some money. You can give them away in places with heavy foot traffic like subways, malls, or groceries. You can also include them with packages that are being sent to your customers. 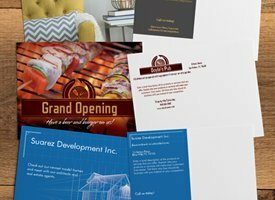 We guarantee to be lower priced than the competition including Moo and Vistaprint and because you’re having your printing done local, you’ll be sure to get the customer satisfaction and attention that you deserve. Give us a call or send us an email today for a free quote. Durable flyers perfect for hand-outs and package inserts. Starts on thick 90 lb. card stock. Say more with a larger flyer that stands out from the pile. Starts on thick 90 lb. card stock. A great take-away piece to keep customers coming back. Printed on thick 90 lb. card stock. Printed on heavy 90 lb. flyer paper, this classic format is a promotional workhorse. With premium glossy and matte as well as heavier card stock upgrade options, we’ve got you covered. The back of your flyer is perfect for adding extra information, charts and more.